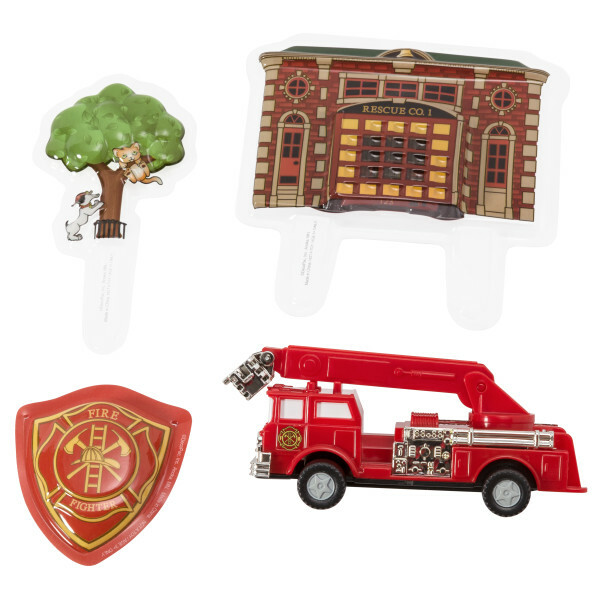 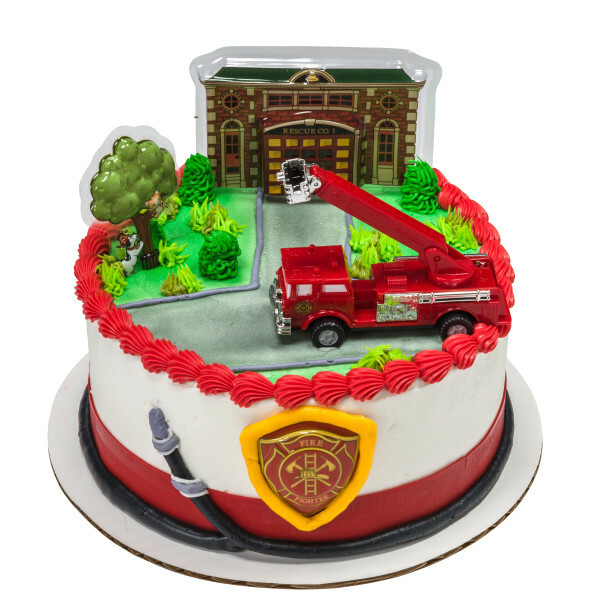 This cake set is sure to please every fire truck fan! Fire truck has rolling wheels. Door to fire station opens and badge can be worn.